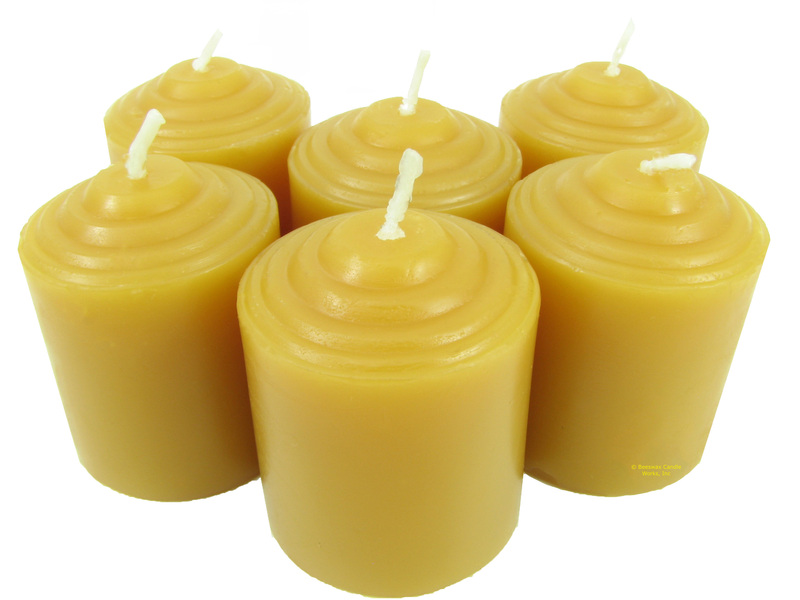 Beeswax votives require a pool of liquid wax to burn properly. Burn at least four hours before extinguishing the flame. 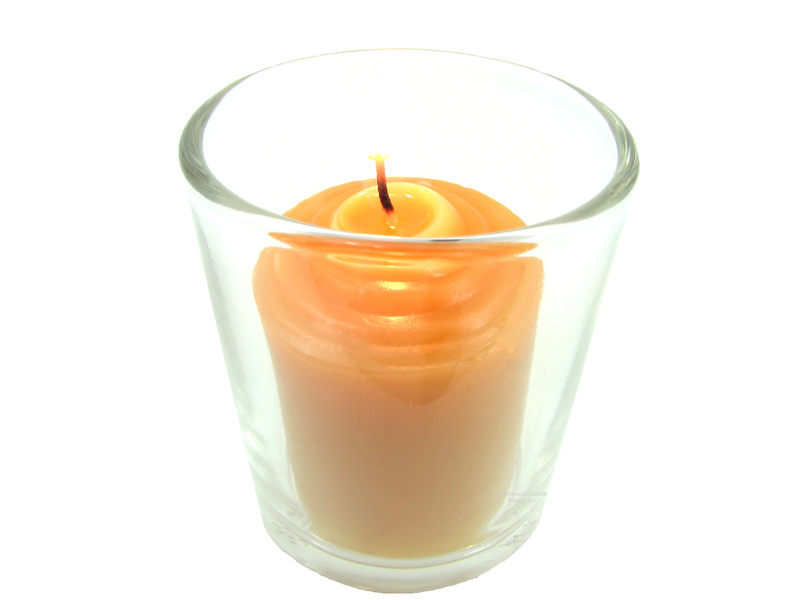 Our pure and natural beeswax small votives will burn approximately 10 - 11 hours. These small votives have straight sides and the size is 1.75" tall x 1 3/8" wide. 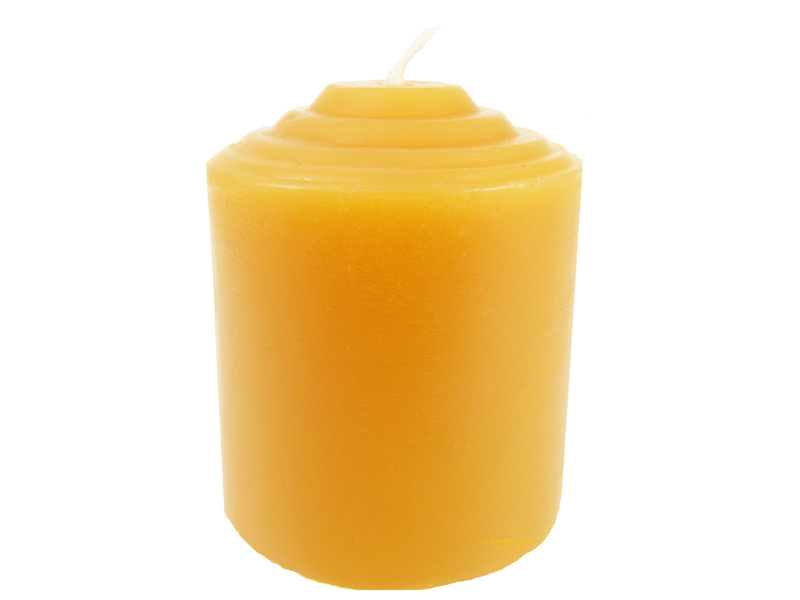 The best price per small beeswax votive is to purchase in packs of 96. We now offer glass votive holders. Glass votive holder is for display purposes only. Sometimes we have votive 2nds on hand.